I've researched this a while. JT always has some great input. But, I've learned to listen to WB too. I'm sure like most ancient cartridges, there are many variations. 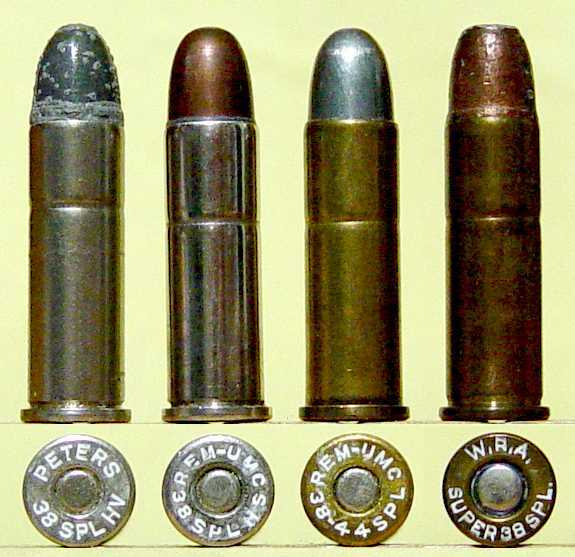 In this photo the 38-44 had a Small Primer and the Super 38 Special (same principle, different name) had the Large Primer. Keith found his .38 Special bullet #358429 was too long to use in the short-cylinder Smith & Wesson when crimped in the crimping groove. 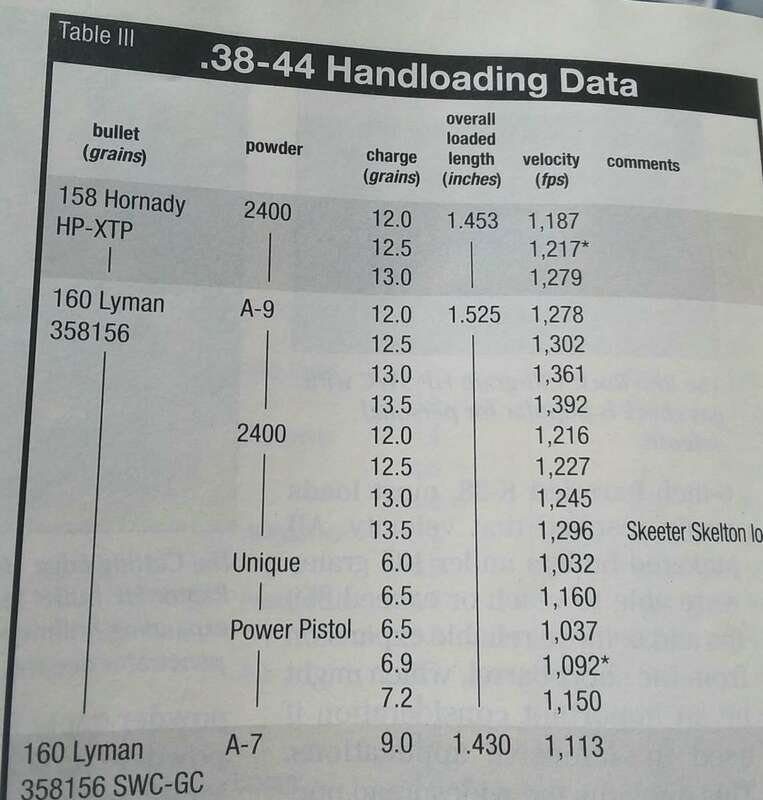 So he just On using his Heavy .38 load of his bullet over 13.5 grains of #2400. This load is hotter than many .357 Magnum loads today. It is also what was used to fire the long-range targets in the 8-3/4" .357 Magnum in Ed McGivern Book, "Fast and Fancy Shooting". Phil Sharpe said Elmer's load was at 42,000 psi. I covered the .38-44 and the Smith & Wesson Outdoorsman sixgun in American Handgun or September/October 2008. It was entitled "Who Needs a Magnum?" Of the Phil Sharpe book. Had so many, I sent Gary and Sean each a copy. I certainly won't push my Trail Gun hard. Have some pressure tested loads and will consider 30,000 psi max. Have complete confidence that Gary's crew can pull this off in a big way. This level of shooting is about all I want for serious pleasure shooting. Much beyond that and I need to be either mad or scared! The little single-five I ended up with in .400 cal. does great with a 180 gr. at 1300. The larger bore spreads out the psi over more "I" to get the performance at less pressure than a smaller caliber. It has 10% more area in the diameter. I'm going to drop to a 175 gr. SWC at around 1000-1100 fps and an even lighter load. WAS RIGHT ON THE MONEY.